Through the years the law libraries have been staffed by many able professional librarians, clerks, and support personnel. This paper documents only the known head librarians. It shall be the duty of the librarian to take charge of the library of the Appellate Division of the Supreme Court, to attend in the room of such library each day during the session of the court, when the court is in session, and when not in session, from 10 o’clock in the morning until 4 o’clock in the afternoon, or as much longer as he shall be required by either of the Justices of the Appellate Division, and to perform generally such duties in relation to such library as either of the said Justices shall require. He shall be responsible for all books in the library, and shall see to it that all books removed from the library to the courtroom or elsewhere are returned to the library, and shall be responsible generally for the safekeeping and proper condition of the books and furniture in the library room. cabinet.These ncient documents have a great deal of historical value. handwritten predecessor records of what we would now call a library catalog, etc. Until the 1980s there was a minute book at the circulation desk of the library which contained the last entry prior to the colonies becoming independent and, on an adjacent page, the first entry after independence. During the 1980s this material was removed from the library and taken to the First Department of the Supreme Court Appellate Division. When Chapter 649 was enacted on April 30, 1898 the library known as the New York Law Library became the law library of the Appellate Division, and the law libraries of the Superior Court of the City of New York and of the Court of Common Pleas of the city and county were consolidated, and the books therein constituted the law library of the Supreme Court in the first JD. The collection was further enhanced when in 1962 the Court of General Sessions, located at 100 Centre Street, merged into the Supreme Court. In 1933 Edward J. McCullen, then librarian of the New York Supreme Court drafted legislation which added a new Education Law section 1166 effecting consolidation of the Library for the County Officials of the County of the Bronx with the Library of the New York Supreme Court. This was substantively enacted as Chapter 691, Laws of 1933. Judiciary Law section 817 (Chapter 665, L 1946) provided for a Supreme Court library 1st JD with branches in New York and Bronx Counties. It was in the care, custody and control of the justices of the Supreme Court in the first judicial district who were not Appellate Division justices. This law was amended in 1981 by Chapter 1006 which created the 12th JD and transferred the supervision of the Bronx Supreme Court Library to the justices of the Supreme Court of the 12th JD. In 1962 there was a major court reorganization. 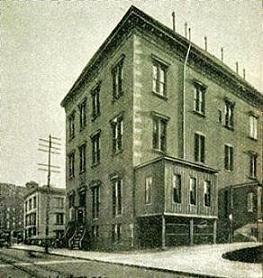 This resulted in the addition of the Court of General Sessions Library to the New York County Supreme Court. 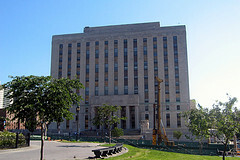 Until about 1980 the Bronx Supreme Court Library was maintained by staff from the New York Supreme Court. It was detached from New York County when the 12th Judicial District was created. 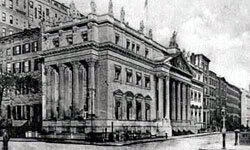 At about the same time the New York Supreme Court Library was divided into civil and criminal term libraries with separate staffs and budgets. When Chapter 662, Laws of 1993 was enacted, New York Supreme Court Library opened a library that would be accessible to everyone. 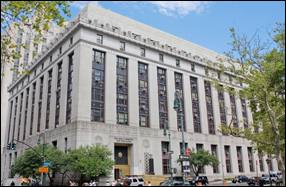 The New York County Courts Public Access Law Library serves the community by maintaining a basic New York collection of statutes, treatises, and online material. The Civil Branch contributes funding for legal reference and equipment and the Criminal Branch furnishes staff. 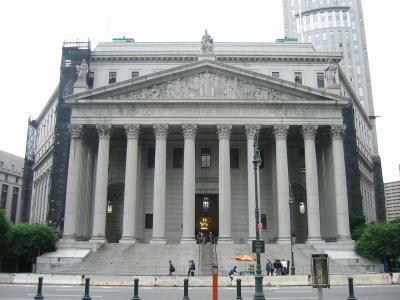 The New York County Supreme Court Law Libraries were early providers of Westlaw and Lexis. In the early 1980s a Principal Law Librarian was asked to develop a proposal for computer assisted legal research in the courts. Out of that early report came a recommendation that Westlaw be acquired for the trial courts and Lexis for the appellate courts. As far as can be determined, that recommendation was followed at the time. Later both Westlaw and Lexis were made accessible to all the courts. 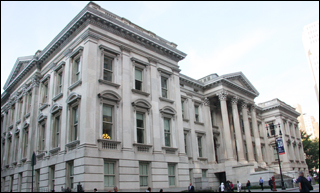 Other innovations followed in both New York County Supreme Court Libraries. 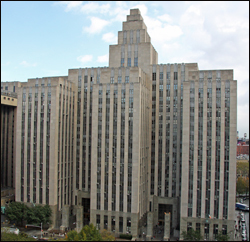 In the mid 1980s William Clapham, then the UCS Budget Director, designated the Supreme Court Criminal Term, New York County Library, as a testing site for reviewing and developing cost effective applications for automation. Out of that initiative came a library information management system called LIMS which is still being used, a review of scanning technology of the period, some research on the use of voice recognition with Westlaw, and an early library website. All of this activity was prior to the present Department of Technology. The staff had email and internet access in the 1990s. Some functions of the libraries are automated, including acquisitions and cataloging. Special collections include New York civil practice and criminal transcripts. Lexis is available to the community at no charge. A toll free 800 line is maintained by staff at the Public Access Library. Today the law libraries continue to support new programs and technologies, including system-wide document delivery and OPAC system. The Supreme Court Civil Term Library participates in e-filing, Commercial Division, Justice Initiatives, green programs, the Unified Court System’s Virtual Reference Library document delivery service and provides legal reference materials and budgetary support for our Public Access Library. The Supreme Court Criminal Term Library has developed various database and web based services to address both internal and library user needs and participates in various Unified Court System programs including document delivery services and green programs. Working with our Public Access Library, it has been providing web based outreach services to the public since 2002. The objective of our libraries has always been and will remain to provide the best quality in library services in a cost-effective manner..
* I would like to express my appreciation to David Badertscher and Theodore Pollack for their contributions to this history. 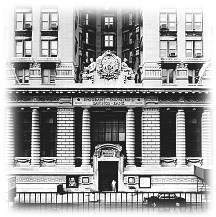 (7) Guy Lowell Dies; Noted Architect, NY Times, February 5, 1927 Although the circumstances of his death were not disclosed, this writer was told by various court employees that he committed suicide. Mr. Grotsky was succeeded by the current Principal Law Librarian, Eugene A. Preudhomme. (18) Obituary: Edward J. McCullen, New York Law Journal, Aug. 9, 1971, p.4, col.7. (22) AALL Biographical Directory, 1984, p.102 Mr. Montekio was succeeded by the current Principal Law Librarian, this writer. Mr. Ross was succeeded by the current Principal Law Librarian, David G. Badertscher. Ellen Robinson, 1992-93 Diana Sheffield, 1996-97 Modesto Bravo, 2000-04 Mr. Bravo was succeeded by the current Principal Law Librarian, Margaret Beirne. (28) Douglas B. Stephens resume. Mr. Stephens was succeeded by the current Senior Law Librarian, Theodore Pollack. Well this is a nice one. I was just searching for some articles for my school homework. I was thinking that I will come across Wikipedia but I was simply shocked when your blog came first but now I understood that Google was right in placing your blog on the top.